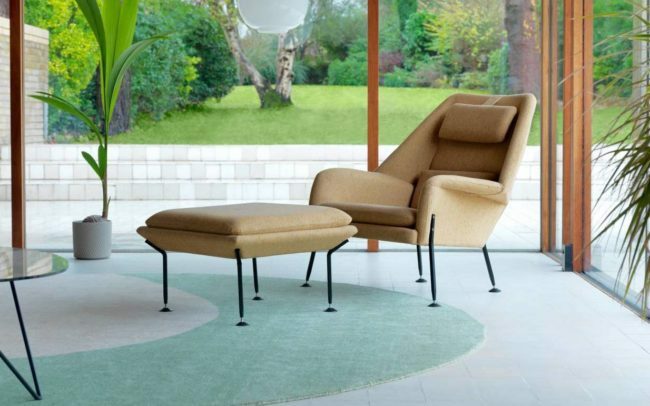 Ernest Race continued to investigate new materials with the Heron & Flamingo chairs, with the Flamingo winning a Design Centre Award in 1959 due to its skillful use of modern materials. 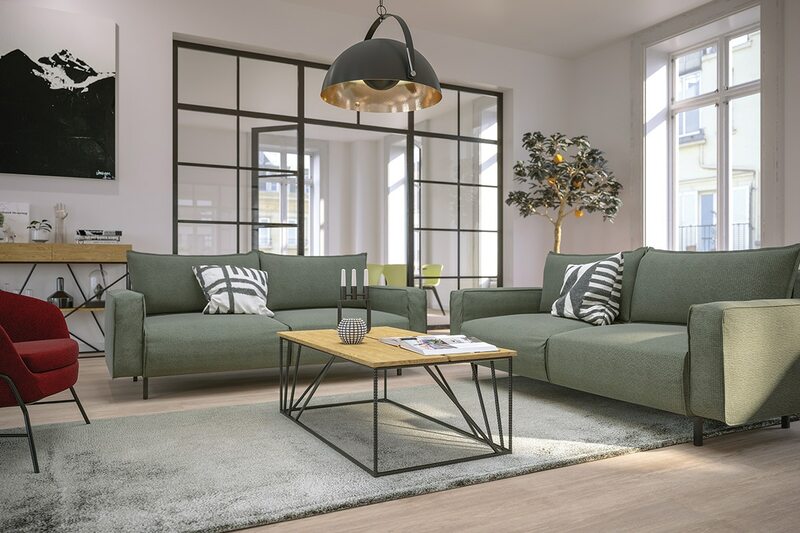 The Heron differs from the Flamingo in the position of the legs and the addition of loose cushions. 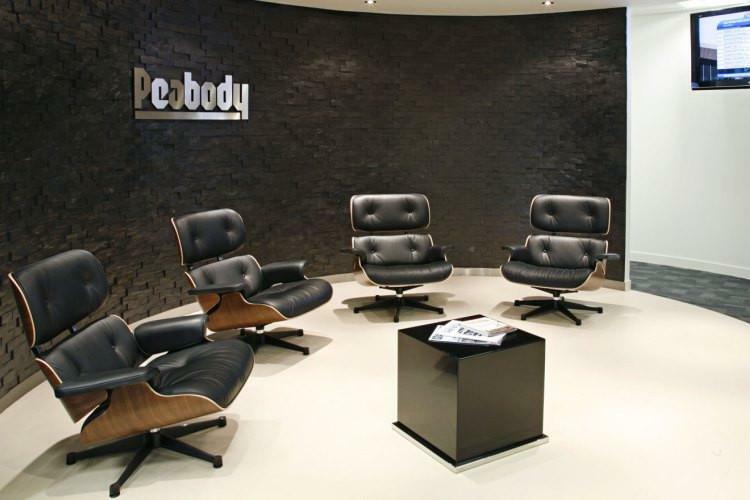 Both chairs fuse exceptional comfort with dynamic sculptural form and are contemporary with similar designs by Eames and Saarinen. 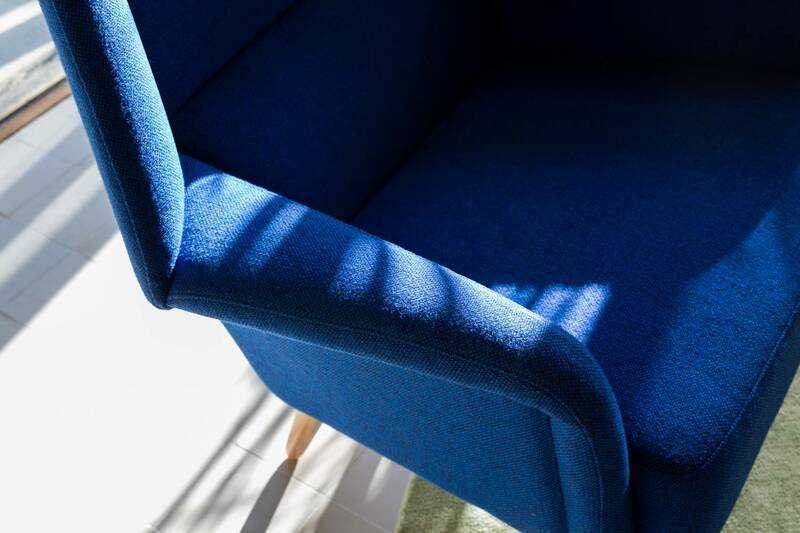 The Ernest Race Heron Chair design incorporates technically challenging upholstery techniques, still in use today. 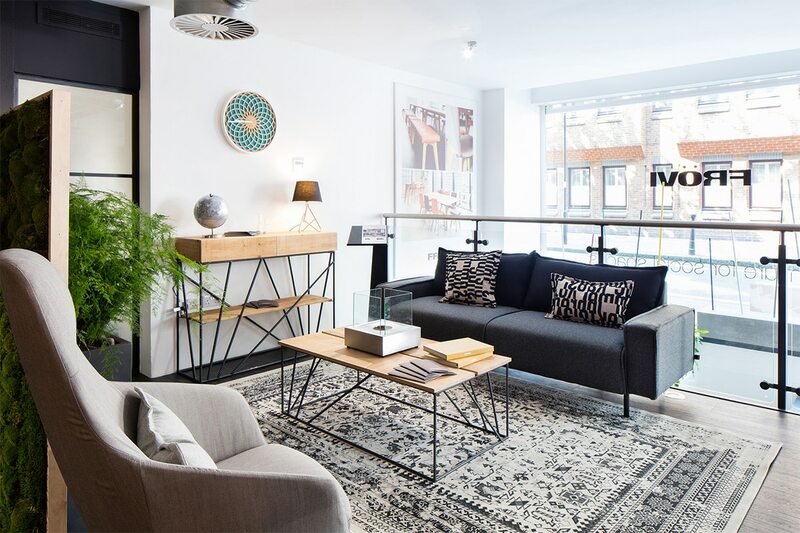 The iconic look is finished with the addition of the Ottoman footstool. Ernest Race designed for the domestic and the contract furniture market, but it was the 1951 Festival of Britain that took Race’s furniture to a much wider audience. 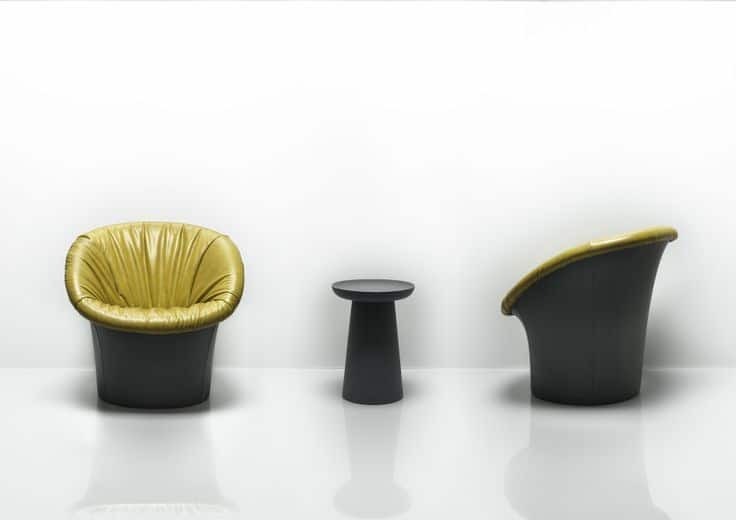 The Ernest Race Antelope chair was selected as the chair for the Festival site, with Gordon Russell, chair of the selection judges, believing Race’s designs ‘miles ahead’ of his contemporaries. The simple moulded plywood seat was painted in the Festival colours of yellow, blue, red or grey. In 1955 the BA3 and Antelope chairs won both Gold and Silver medals at the Salone di Milano, a first for British furniture design. Today, the Antelope can be seen in homes, cafes, restaurants and offices both in indoor and outdoor areas. Allermuir Wave Bench is a beautifully formed laminated ply construction suitable for enhancing interiors and can be mass produced. Wave is constructed using a well detailed stainless steel frame and a diffused glass top, making it a well-balanced bench seat for any seating space. Jennifer Newman Planters, Drum & Box Planter are ideal for adding extra colour and planting to otherwise sparse areas. 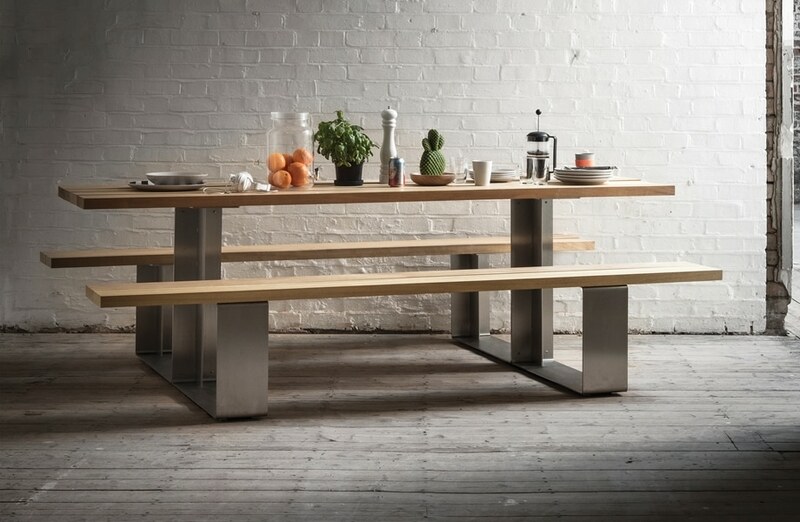 Their tactile and bold simplicity makes it perfect for canteens, terraces, breakout spaces and atria. Excelling in spaces that require a colour injection, the Drum and Box Planters can have castors for easy maneuverability as well as a solid security ring which adds to the design whilst preventing potential theft. Manufactured from fully welded aluminium and powder-coated to any chosen RAL colour, Drum and Box complement all products. 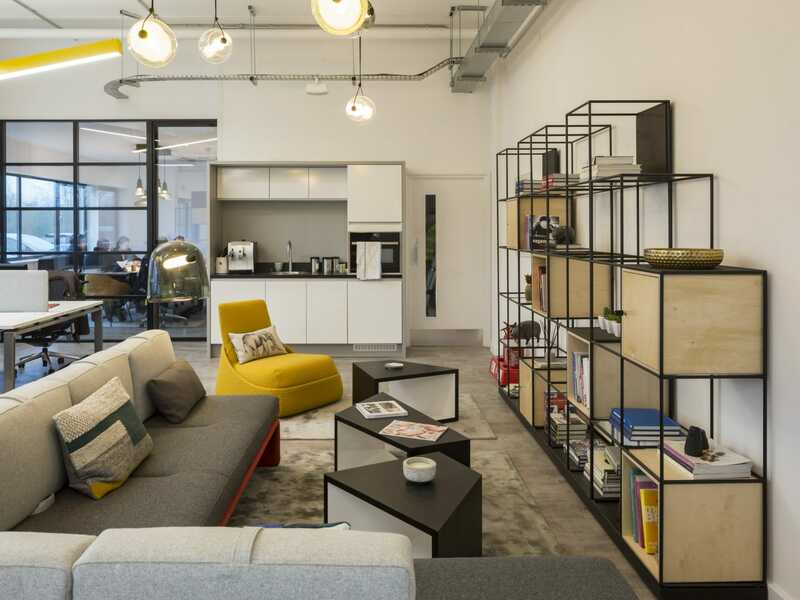 Pure industrial look with the fit out complimenting the choice of furniture. The Coalface is a Building named after the Industrial heritage of the Finsbury Park area that it is situated in. 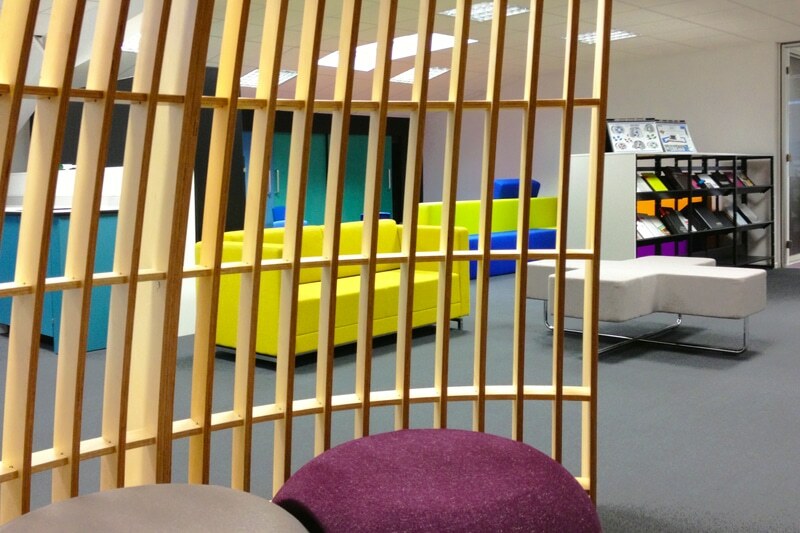 This fantastic space was created for a Project that we are very proud to be associated with. 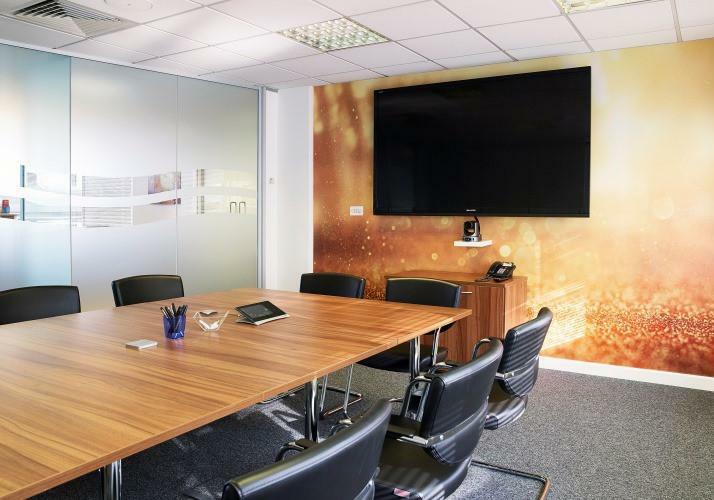 Working with a hugely experienced and straight talking Client, Architects and Interior Contractor we were tasked with coming up with a highly flexible yet cost effective solution for the Private Offices whilst providing some stunning pieces for the co-working and Meeting Rooms. 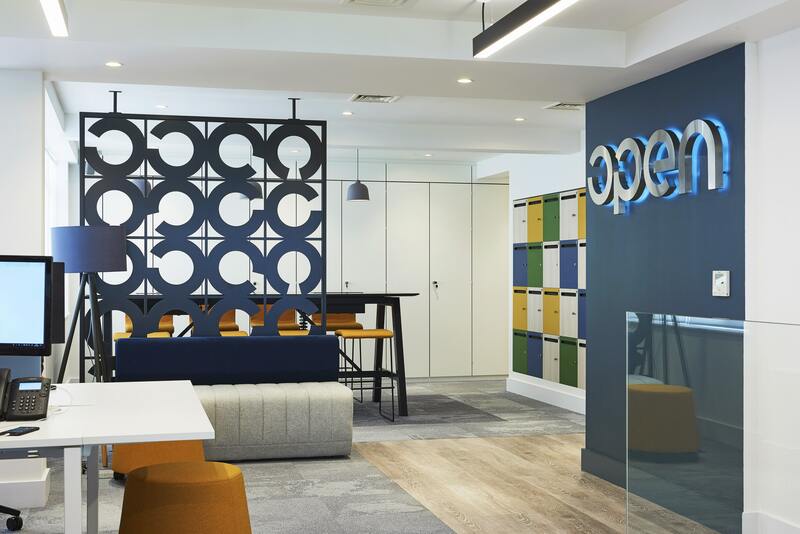 The space was originally used as a Gym but after a great transformation from our friends at OCL we provided budget costs for, value engineered those and then once we were introduced to the Client embarked upon a series of intensive showroom visits. 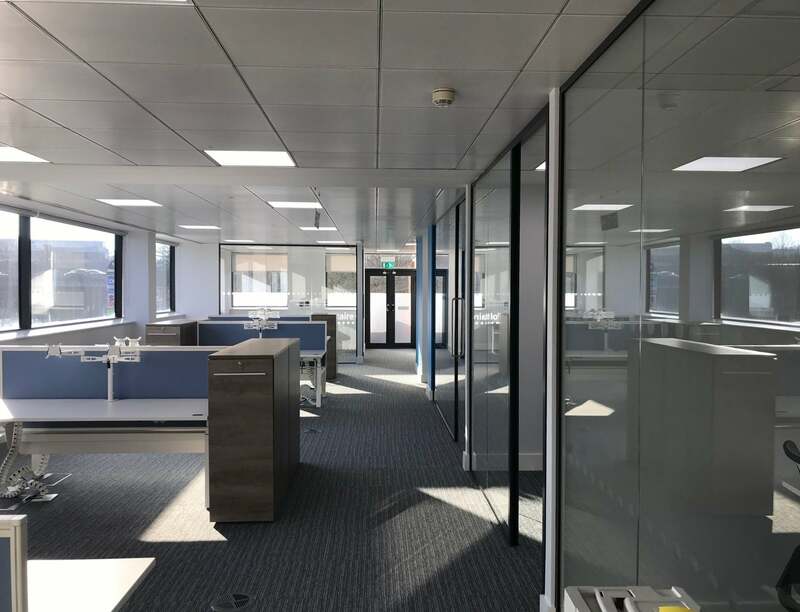 In conjunction with some great finishes chosen by the whole Project Team we were able to deliver on budget and on time (again!) a truly stunning scheme. 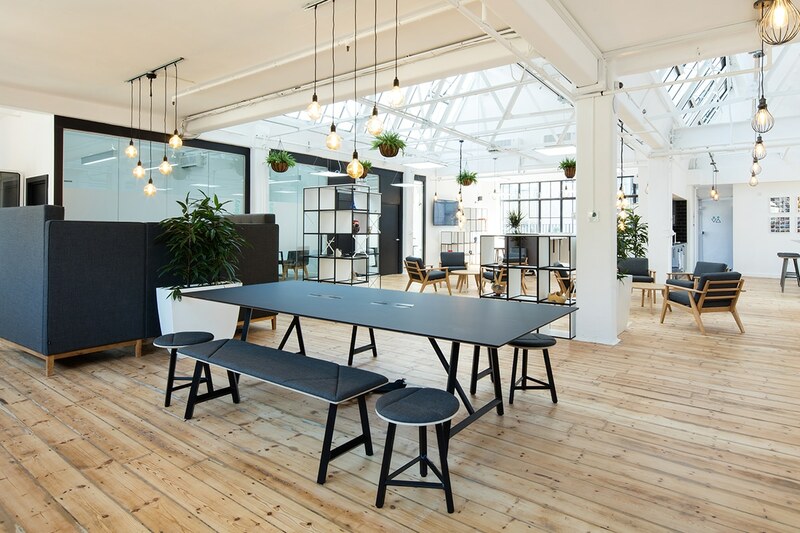 We worked with Vitra, Frovi, Orangebox, Senator, Moventi, CMS Electracom and Bisley to bring the Architects vision to life and provide we believe one of the best co-working spaces in London. This was one of our favourite Projects of the Year and a transformation of an ugly duckling into the swan that it is today! 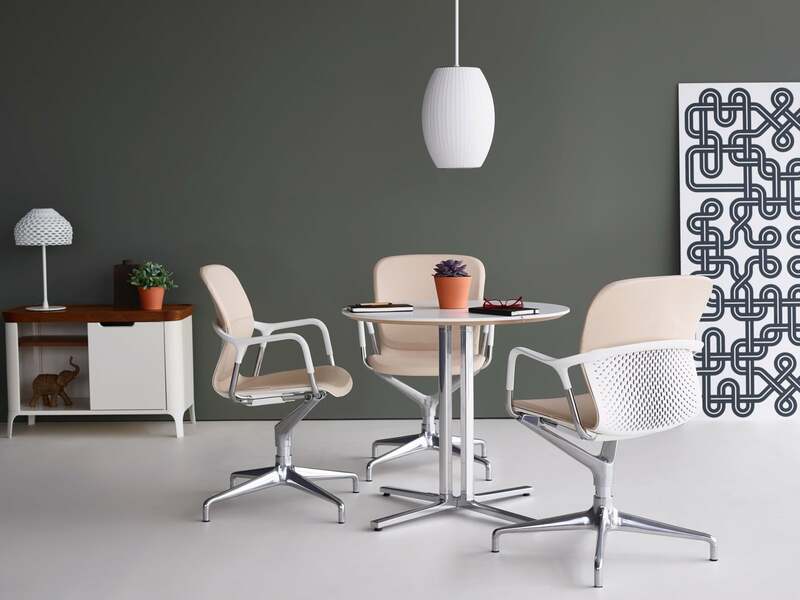 Inspired by suspension bridges – structures that deliver the most using the least material – Yves Béhar applied the engineering principles of these amazing structures to create the Herman Miller Sayl Chair. 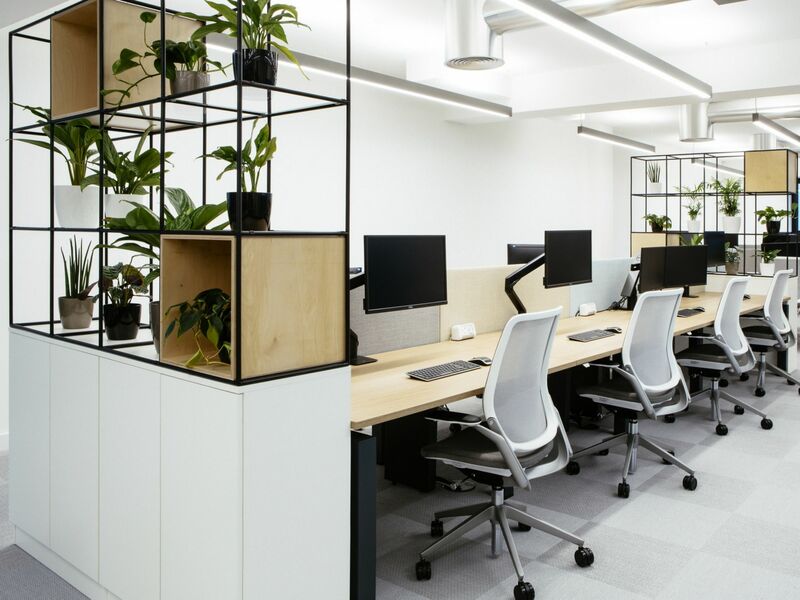 The Eco-Dematerialised design of the work chair uses less material in more inventive ways to provide ergonomic support for people up to 159 kg. As the market leader in its class, Colebrook Bosson Saunders Flo is more environmentally friendly, better looking, and a better performing product than any of its competitors. With great design and great performance, Flo offers a range and ease of movement that sets it apart from all other monitor supports. Achieved by the use of geometric Flo Spring Technology, Flo’s unique design is protected by four international patents.And it is this commitment to innovation that is the cornerstone of Flo’s performance: Flo offers smooth fingertip adjustability ensuring minimum effort is required by the user to position the screen. 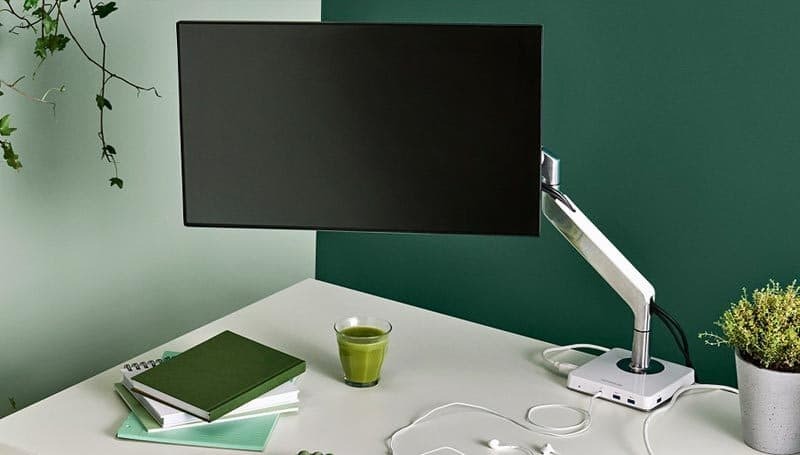 The D-Ring head provides outstanding flexibility, with a 40° tilt both upwards and downwards it is ideally suited to touch screens and also for reducing unwanted office ‘glare’. The 90° left and right rotation enables the user to share the information on screen with colleagues, a great tool when working together on projects/tasks. Flo can be easily adjusted using an Allen key to set the optimum spring tension to the screen weight. The head on the Colebrook Bosson Saunders Lolly can be angled to illuminate areas of focus, and because different tasks have different asks, there is a four-stage dimmer to enable variation in brightness. One of the first lights on the market to over USB type C charging, Lolly is a ray in the new dawn of electronic devices. As technology providers embrace USB type C on their latest smartphones and laptops – start saying goodbye to that bulky laptop transformer – Lolly will future proof the work space and help charge this new wave of technology. With an element that enhances longevity by conducting heat away from the cool white LED’s, and automatic power down after four hours of inactivity, Lolly shines for an impressive 50,000 hours of use. 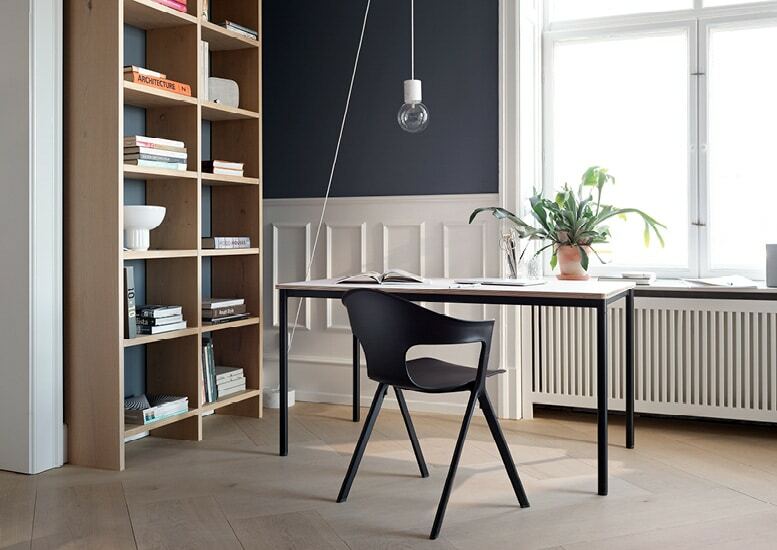 A long cable allows for practical maneuvering around the desk. And the way Lolly has been manufactured allows for its plastic, aluminium and zinc components to be recycled with ease. PixelTUF discreetly presents both mains and 25W USB charging power in an ultra-compact form, meeting the growing need for easily accessible mobile device charging in informal areas. 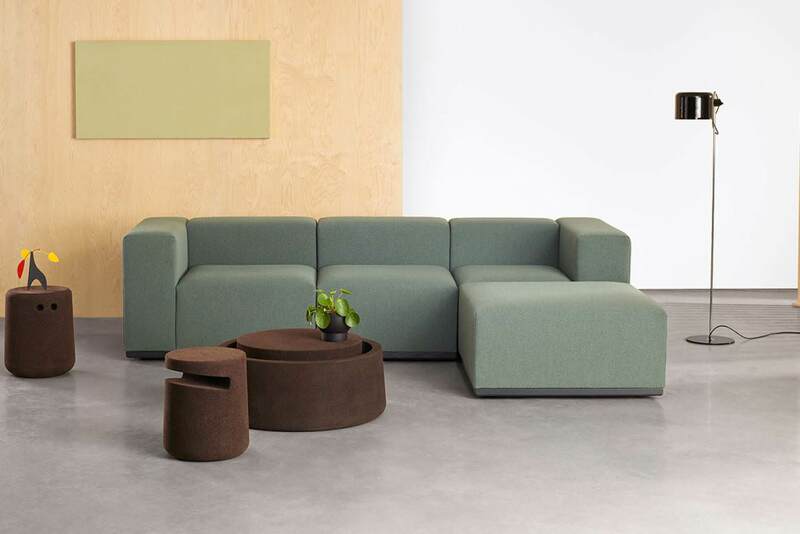 Perfectly suited to breakout areas, smaller meeting rooms and coffee tables, in offices, hotels, and other public spaces – installation is only limited by the imagination. PixelTUF can be specified with either UK fused or unfused sockets, plus a wide range of international power socket options. Fast USB charging of up to two mobile devices is provided via the fully integrated OE TUFA+C25W:Twin USB Fast Charger. It is available from stock in white or black with satin silver grommet ring and alternative decor matching ring colours to special order. 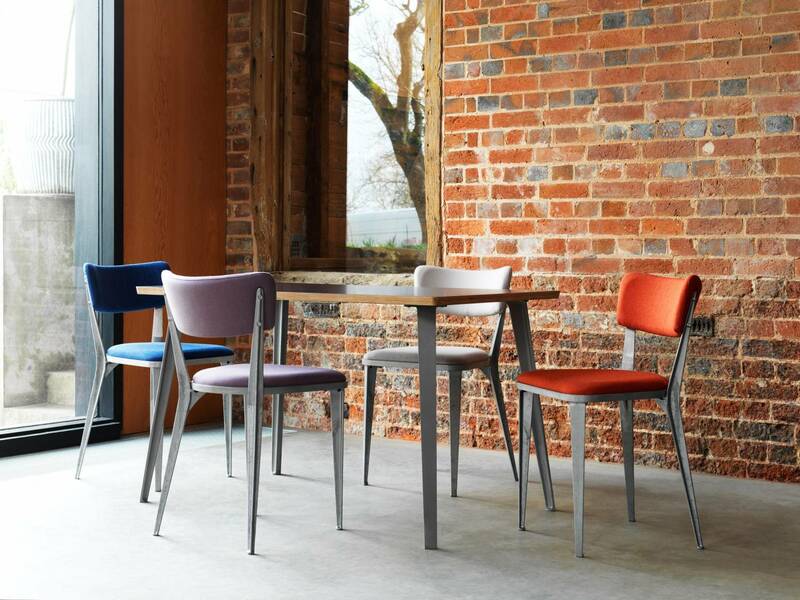 Axyl chairs are a seating collection offering a sophisticated combination of recognisable elements. 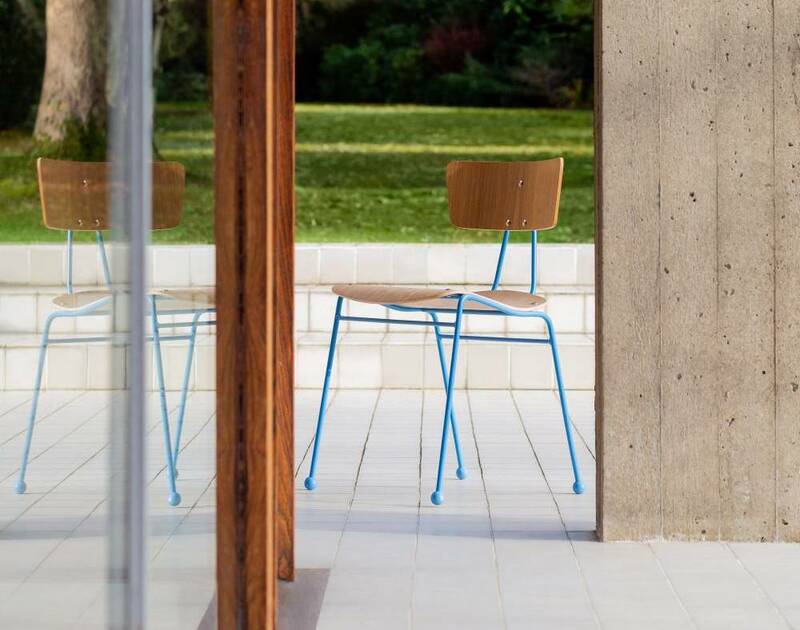 Comprising of an arm chair and stool, Axyl utilises a strong geometric design language that is entirely original yet draws on familiar references to create a range of highly functional seating. Layer is a strategic industrial design agency focused on experience-driven design for both the physical and digital worlds. Led by Benjamin Hubert and a growing creative team which has expanded into an experience driven design agency. 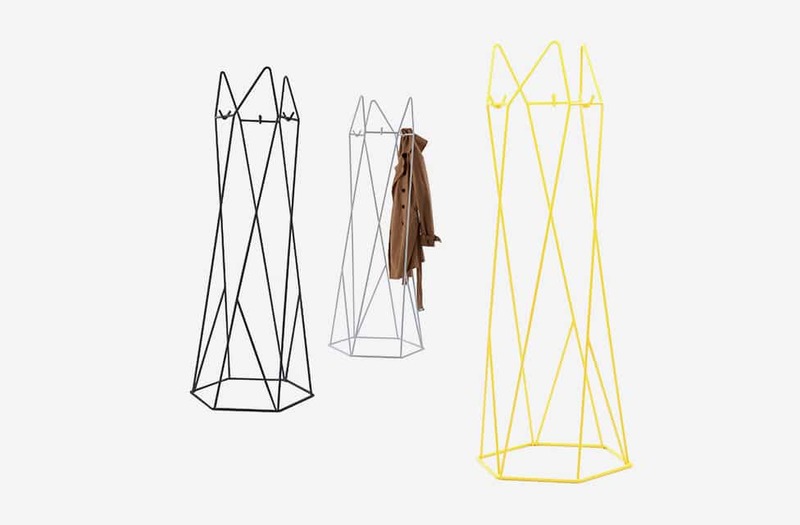 Benjamin Hubert founded his studio in 2010, with an aim of creating long-lasting product that would truly connect with people and bestow new heirlooms. Intorducing the fantastic Jennifer Newman Huddle Table. Our thinking is in the name: Huddle round the table. 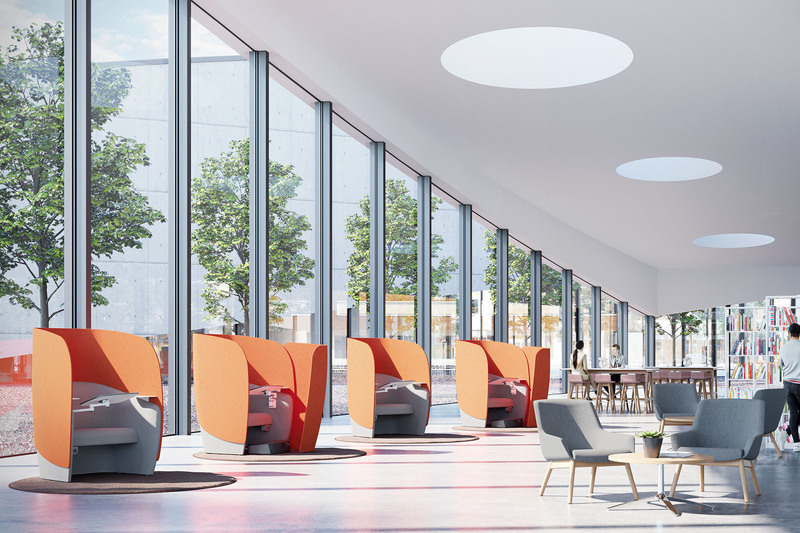 This design is a tall work surface for impromptu chats and meetings in the office, but likewise it’s a table for perching – maybe in a theatre lobby, café or education buildings. 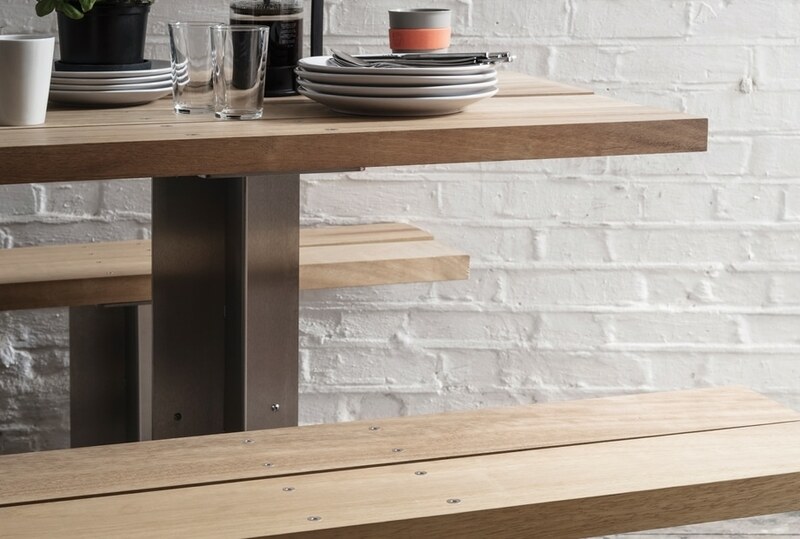 High stools are a natural fit but Huddle works on its own too. Steel with polyester powder coating. FSC birch ply with clear or tinted lacquer . Go that one step further with the TP3 telephone pod. With all the features of the Boss Design TP1, the aesthetic possibilities on the TP3 make it easy to personalise your telephone pod to suit your business needs. 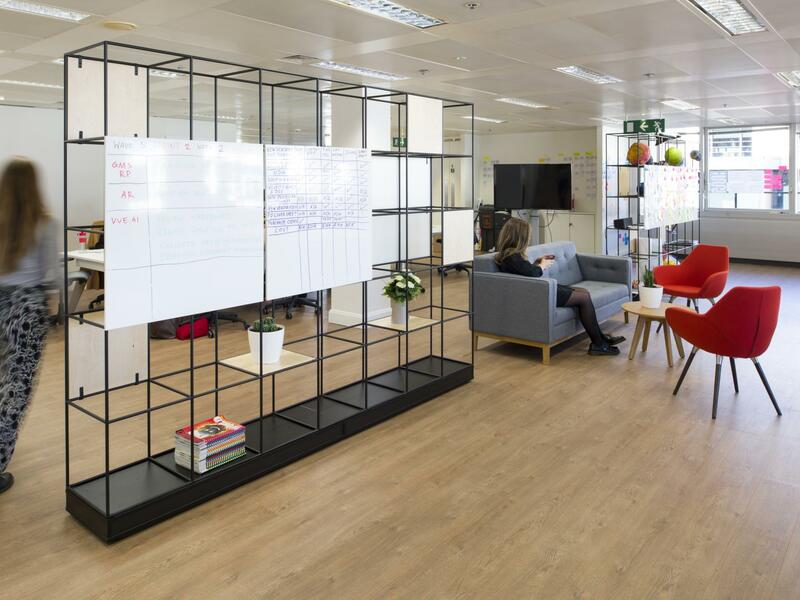 Become more creative, with the ability to personalise your own space. 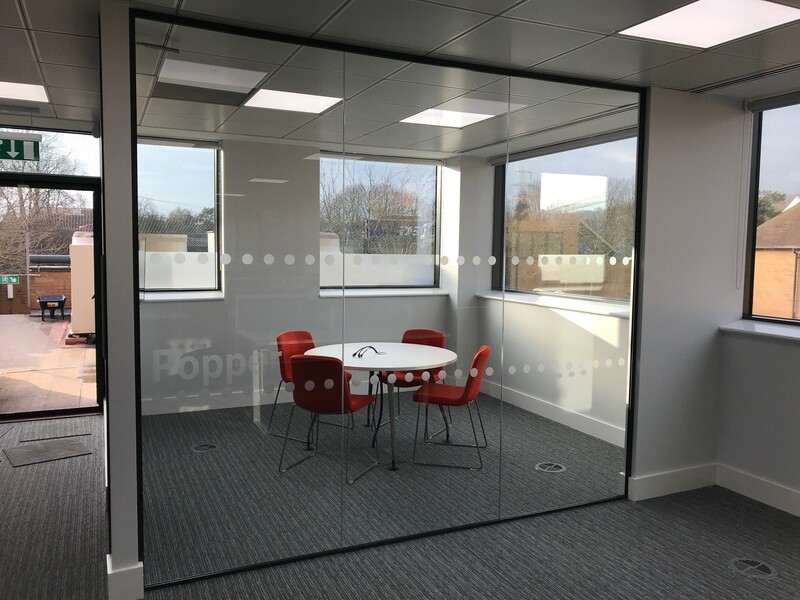 With its acoustic panels not only providing a high acoustic barrier, the vinyl panel option also allows you to use the panels for your own design and creativity. 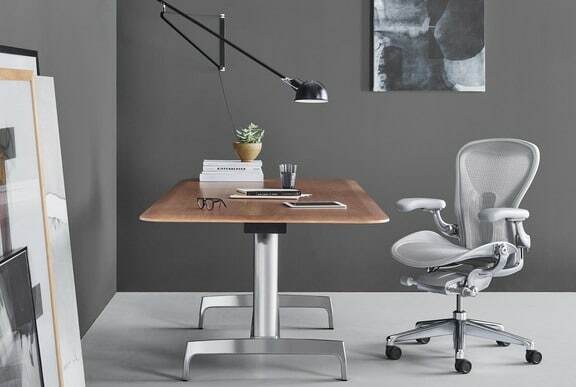 Designed by Broome Jenkins and engineered to Boss Design’s exacting technical standards, Boss Design AC is an elegant table system that fits effortlessly into today’s workplace. Designed to address the changing landscape of the workplace ACDC will transform the way you work. One all-encompassing table range, enabling both individual and group work. 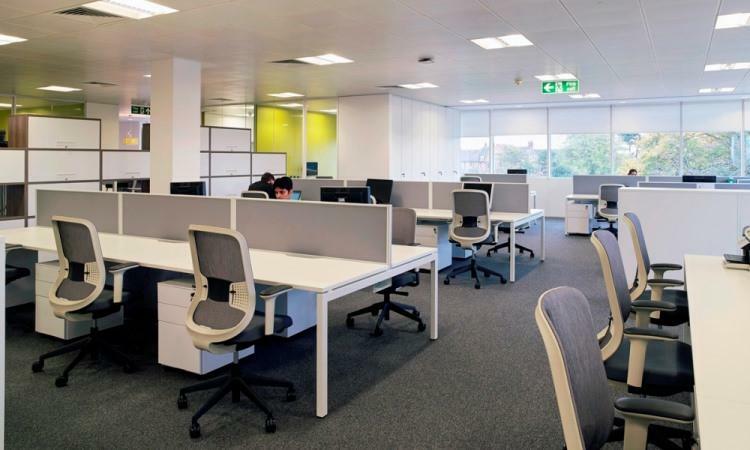 From sit-stand desking to height adjustable and static meeting tables, ACDC delivers benefits for the human body whilst promoting better working practice. 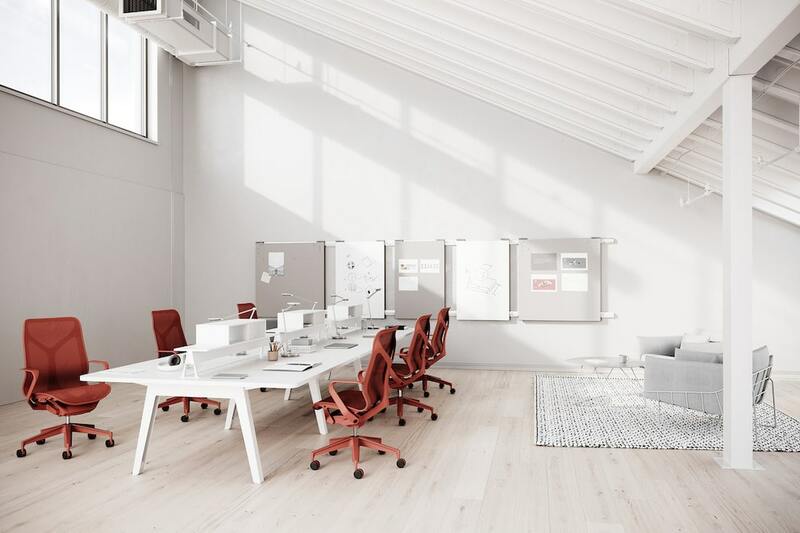 Its height adjustable (AC) collection includes a broad range of large meeting tables and fully ergonomic, individual sit-stand desks. 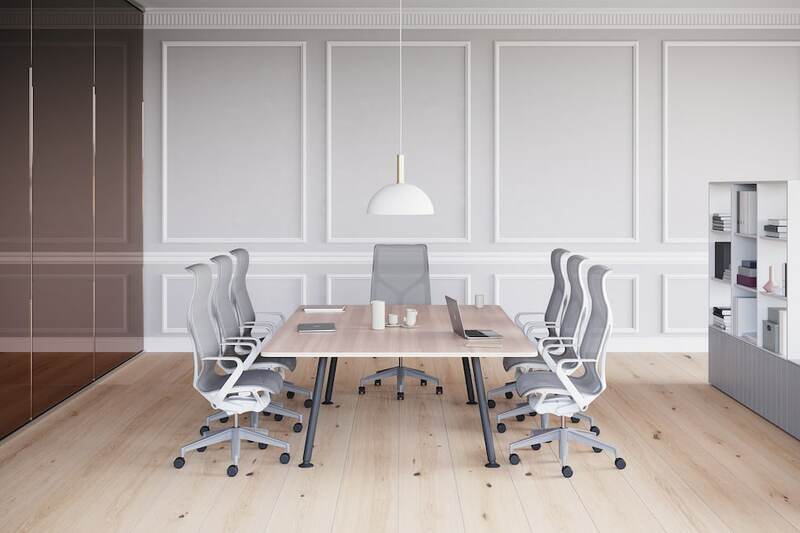 Promoting shorter standing group meetings and individual desk focused work.